I love to find the whispers in the noise to deliver genuine consumer insight on clients business that delivers diverse and dynamic business growth. My role is to connect people from different walks of life to make magic happen. A good marketer always listens more and talks less. Karen began her media career in 1993 at CIA MediaNetwork working across a range of direct response accounts, which included NatWest, Time Life, Barclaycard and Prudential. Karen continued her career by joining Zenith Media in 1995 as a Senior Communications Planner and Buyer working on the prestigious BT account. Karen was then head-hunted by The Media Business Group. In October 1999 Karen was promoted to the Board of Directors of the newly merged MediaCom and The Media Business Group Board. In January 2003, Karen moved from the Business Director role that she had held for so long to become the Marketing Director of MediaCom. In 2003 and 2005 Karen was voted by Management Today as one of 35 Most Powerful Women Under 35 in the UK. In 2008, Karen became MediaCom’s Chief Operations Director for EMEA. Priority markets included Russia, Turkey, France, Spain, Portugal, Poland, Czech Republic and South Africa. After 3 years strengthening the EMEA network, during which time MediaCom moved from the 5th to 3rd largest EMEA network media agency, Karen was promoted to CEO of the UK Office in January 2011, running over £1.2bn of media billings and over 1,100 people. MediaCom UK is the largest media agency in the UK with a range of diverse clients, such as Sky, Tesco, GSK, Coca Cola, CRUK, Centrepoint, Audi, DFS and the Met. Police. MediaCom is a truly UK national agency with offices in London, Manchester, Birmingham, Leeds, Edinburgh and Dublin. During Karen’s tenure as CEO the UK business won over £790 million of new business. In 2015, Karen led the agency to win the coveted Tesco business, after over 23 years with their incumbent agency. MediaCom were voted Agency of The Year by industry magazine Campaign, for an unprecedented two years in a row, in both 2013 and 2014. In January 2016 after serving as CEO for 5 years, Karen was promoted to Chairwoman of MediaCom UK. In 2012, Karen launched an Apprenticeship Scheme for 18-24 year olds at MediaCom, working with Tim Campbell, MBE and The National Apprenticeship Service. This is helping to fulfil a personal lifelong passion to find, discover and mentor talent from all backgrounds and classes in order for them to get a foot in the door of The Advertising Industry. The Apprenticeship scheme is the first government approved scheme for any media agency in the UK, working with Outsource Training and leading to an NVQ in Marketing and Communications. Karen has hosted two House of Lords Peers at MediaCom HQ to teach them about the scheme and meet her first ten successful apprentices. Karen has been profiled in Media Guardian, The Evening Standard, The Independent on Sunday, The Sunday Times Business section - Andrew Davidson interview, Company Magazine and The Independent and is a contributor to The Telegraph Wonder Women editorial section. Karen has also recently been named as one of the Evening Standards Progress 1000, London’s most influential people of 2015 and as one of the Debrett’s 500 2016 which was published in the Sunday Times. Karen is an experienced speaker both within her industry sector and wider, and has spoken at the House of Commons, Black Women Mean Business event, at the Voice of Women event as part of the organisation’s women as agents of social change programme, Management Today Inspiring Women conference, Mumsnet Workfest, AANA Reset Conference in Sydney Australia, has given a TEDx talk, and was a panellist for The Guardian Changing Media Conference whilst also guest editing the publication. In 2013, Karen received Women In Marketing (WIM) Outstanding Contribution to Marketing Award, and was also one of the 2014 finalists in the Veuve Cliquot Business Woman of the Year awards. In June 2014, Karen received an OBE in the Queen’s Birthday honours for services to Media & Communications. 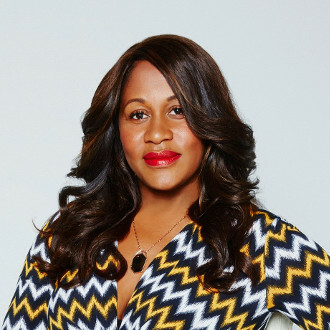 Karen has featured 5 times in the Power List of Britain’s 100 Most Influential Black People. In November 2014 Karen topped the Power List coming in at number 1, being the first Business woman to do so. Karen was also included in the 2015 Radio 4 Woman’s Hour Power List of Top 10 Influencers, being positioned at number 8. The list included Nicola Sturgeon, Angelina Jolie, Anna Wintour, Katharine Viner and Camilla Cavendish. Karen was also named among the top ten inspirational women for Marie Claire's Women At The Top Awards. In 2015 Karen was appointed as one of four external advisors to help diversify the Civil Service, and as a DIT (Department for International Trade) Business Ambassador for No 10. Karen is also a Non-Exec for Creative England whose focus is to support new and emerging talent in the Creative Industry helping grow the UK Economy and a Council member of the Creative Industries Federation. In March 2016 Karen became the President of NABS, the advertising industry charity which focuses on health and well-being in the workplace and presenting the business case for Diversity. Karen is a single mum of a beautiful 6 year old boy called Isaac. A child of the 70's, Karen was brought up on cricket being the daughter of 2 Bajan parents. Karen follows the highs and lows of the West Indies Cricket team and is hoping Isaac will share her love of the sport (his 2nd birthday present was a bat, ball and stumps!). Karen sits as a Trustee for the charity Adopt A Better Way who's focus is to change adoption laws and policy to try and make it easier for kids in care,( especially those from black backgrounds) to find a happy, loving family home. Karen is also an Exec member of WACL (Women in Advertising and Communications London) and an Advisory Board member of Shine Media. What’s your favourite ad campaign of all time? Dove Real Beauty Sketches: A reminder for us to be kinder to ourselves as our worst critic is our self.